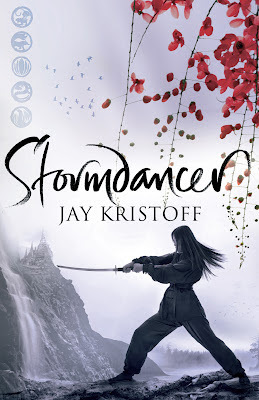 Anyway, I'm here to reveal the AUS cover of STORMDANCER by Jay Kristoff! as blood, land choked with toxic pollution, wildlife ravaged by mass extinctions. more than a century, and the price of failing the Shōgun is death. for certain is he’d rather see her dead than help her. Welcome back! I missed your bubbly comments. I hope all the exams and such went well. Is it almost time for a break? I hope so! I have seen the U.S. cover for this and I kind of like this one better. The flowers are striking! Hooray for a post from you popping up in my feed! I'm glad your exams are going well, hun! I've heard good things about this book, love the cover! Anywaaaaaays. x) This book sounds SO good -- as a girl who loves anime, I'm LOVING how Japanese-y and amazing this looks! Your collection of these books is going to look mighty beautiful! I finished my exams too, good luck on the rest of your exams and I hope you get the grades you want! Thanks for sharing the cover of this book - it looks so pretty and fearless! ADGFKFADHAF! STORMDANCER! SERIOUSLY. Seing this everywhere is driving me INSANE. I want it sooooo badly. And I love BOTH covers. They'e both unbelievably stunning. 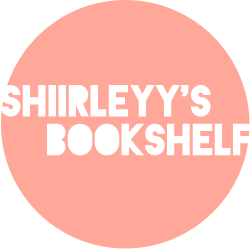 Blog Tour: Streamline - Excerpt and Giveaway!